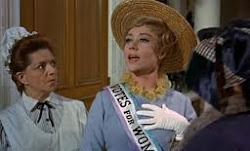 Mrs. Banks goes to Convention: Kill, Refurb or Marry - World Showcase Counter Service - FOOD! YES! 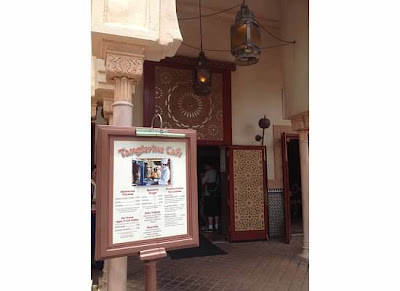 Kill, Refurb or Marry - World Showcase Counter Service - FOOD! YES! Mouse on the Mind and This Happy Place Blogs have delightfully been the inspiration for half of my posts over the past 6 months. And here they are with a FOOD CHALLENGE! This time we are eating around the world - World Showcase in Epcot. I am going to set my own rules - only permanent counter service locations - not the moveable ones that appear during Food and Wine Festival and the Flower Festival. And I am also going to put aside all the drinks vendors - I know you love getting smashed on the margaritas and the grey goose slushies - but I am all about the food. Disney counter service just has so much not going for it! At least in World Showcase the bad food is themed for your entertainment. I tend to avoid counter service cause it can kill YOU! and guess who I think is in need of a good fire? Maybe some people think this is exotic. Let's not embarrass them here. But felafel wraps, hummus and tabbouleh are - let's say it out loud - late night drunkards food. The donor kebab shop in Sydney is famous for the late night munchies, wacky tobaccy and brawls with cab drivers. But you do get the next day off work recovering from the food poisoning. Even the freakin' parsley can kill you in these places. I go to Disney to get away from the real world for a while - not to have it follow me in all its bacterial glory. This is sooo difficult. So many places come with the promise of the great street food of their homeland. With just a little tweaking and being more authentic, they could become wonderful. Just when you think - "Wow! Disney's discovered okonomiyaki!" you bite into it and discover it is greasy and stodgy. And yes - I lay the same complaint at the Yorkshire Fish and Chip stall (sacrebleu!). This place does the olde worlde "publick" dining thing - with roasted meats? corn cobs? pumpkin pie? NO - none of that olde worlde crape here! Liberty Inn serves USA ALL THE WAY burgers, hot dogs and chicken nuggets! Really? Really? Rise up to meet your theming and take pride in your slow food heritage. STREWTH - did I just ... break the rules!! C'mon - maybe the custard inside the school bread at Norway? but the cafe is cramped and mostly boring. Tacos and Nachos? Am I Beavis or Butthead? There just isn't anything left that justifies standing in the queue at Town Hall to see the mayor (even Mayor McCheese). OK - now GO GO and check out the other blogs and the other recommendations - that will slowly populate below over the next few days! learn more about World Showcase than I could ever have taught you! I support your decision to stay single! It was a hard choice for me because while I enjoy a lot of the World Showcase spots, I haven't truly fallen in love with any of them. "Take pride in your slow food heritage"- I love it!